Insanity has been too hard on my joints, so I’ve been rollerblading the last couple of days. I used to rollerblade a lot and it’s good to get back into it. I took it easy the first day to make sure my knee was ok, but I’ve been increasing the distance each day. Today I roller bladed 14.7 miles! 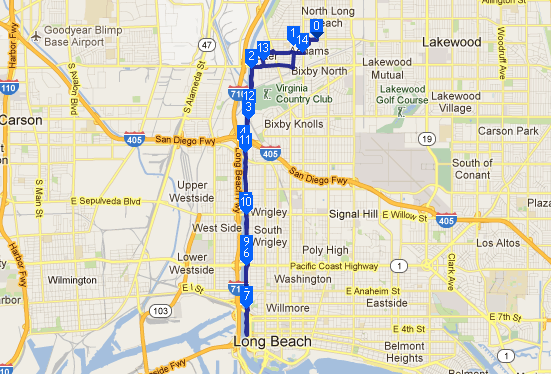 I rollerbladed to the Los Angeles River and then down the paved bikepath all the way to downtown Long Beach (well, at least to the Shoreline Dr exit off the 710) and then all the way back!